Are you an owner of a VW Scirocco? Does yours look any cooler than this one? 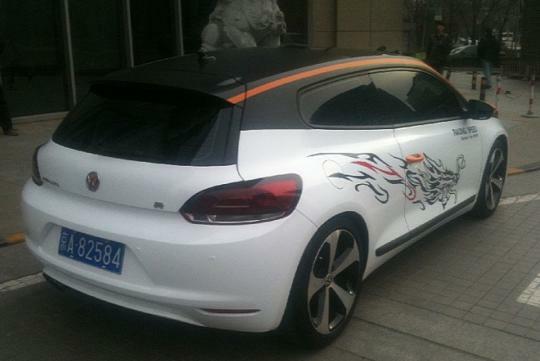 This tuned VW Scirocco has been spotted in China quite recently. But why the VW Scirocco? Well, it's probably because in China, they say that this particular model from the German automaker Volkswagen is often fancied by Chinese young men with tight pants. So, while the body of the car retains its originality � and so do the rims � with the stock white paint, a matte black colour can be seen covering the hood to the roof of the car. 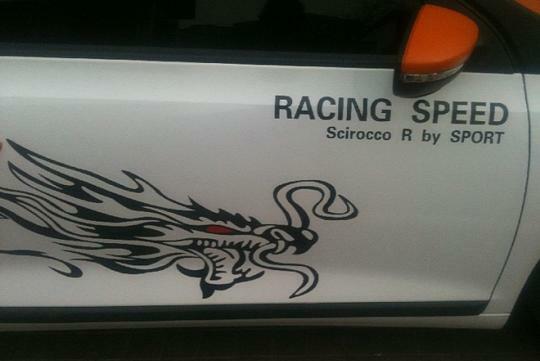 In addition to that, there're two orange racing stripes on the sides of the car, giving it a more aggresive look. The orange colour also dominates the side mirrors and surrounds the air intake on the front bumper. Well, it's a good thing that the orange colour doesn't dominate most parts of the car otherwise it may look tacky instead of cool. 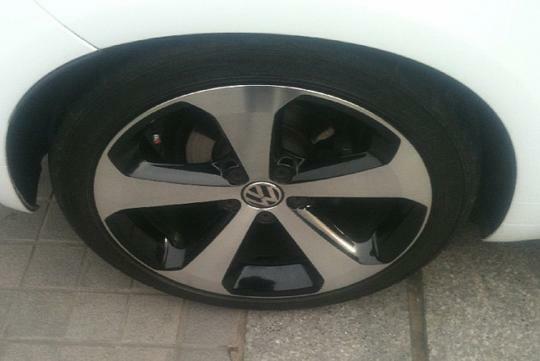 However, what may not really give a good impression are the cheap vinyls on the car sides. They feature a meaningless inscription and a Chinese dragon with smoke coming out of its nose. Typical, eh? The vinyls were said to cost just around 10-30 Yuan or equivalent to around 1.25 to 3.76 Euros. 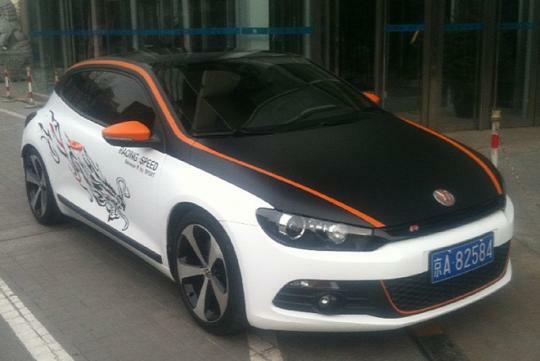 Well, what do you think of this tuned VW Scirocco? since when the chinese knows how to tuned cars? just a few cheap decals and its called tuned? pls show the dyno chart. Ya..go understand what the word tune stands for in car mods before post..kuku..